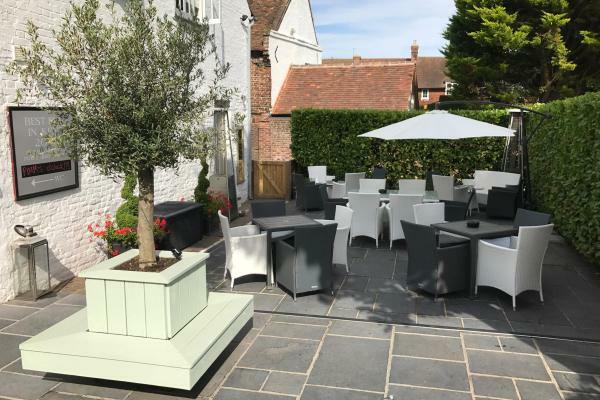 Superbly located on the road that links Canterbury and Sandwich, this pub has recently undergone a total refurb and won Best Destination Pub in Kent, as voted by you in the Muddy Awards. With 8 beautifully designed bedrooms, a Dog Walking Club, great food and stylish sun terrace for al fresco eating this one is well worth a visit. 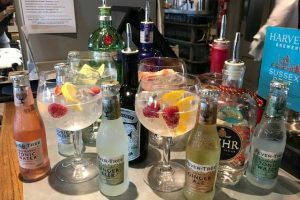 The food and drink offering is well thought through here with spectacular seasonal dishes (thanks to Head Chef Tom Dawson) and a brilliantly stocked bar – including top English wines and a collection of more than forty eclectic gins. The pub is very much a family run affair, which you can sense in the friendly atmosphere. Owner Marc Bridgen, and his family recently took on the project of transforming the pub and in just 4 months changed the entire interior of the place. Marc’s mum, Marilyn is an interior designer who personally oversaw the look of the restaurant, terrace and rooms. 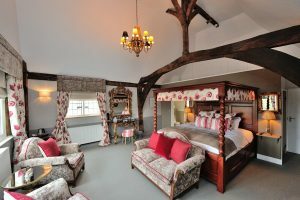 Stop by for lunch or, if you’re coming from further afield, enjoy a relaxing stay in one of the eight individually styled, en-suite luxury guestrooms, with a four poster bed suite being the popular option for *cough* romantic breaks. Or, if you must, book the family suite and bring the kids. Near by you’ve got golf (at one of the finest and most famous courses in the world) Champney’s Spa Eastwell Manor or the smaller and more boutique Granary Spa. For family fun there’s Wingham Wildlife Park literally five minutes down the road. 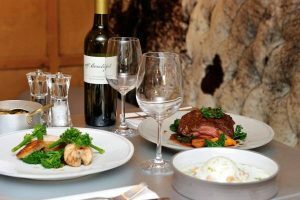 The pub also host weddings and private dining party celebrations as well as food and drink clubs for locals.